The housing market has turned—at last. The U.S. finally has moved beyond attention-grabbing predictions from housing “experts” that housing is bottoming. The numbers are now convincing. Nearly seven years after the housing bubble burst, most indexes of house prices are bending up. “We finally saw some rising home prices,” S&P’s David Blitzer said a few weeks ago as he reported the first monthly increase in the slow-moving S&P/Case-Shiller house-price data after seven months of declines. Nearly 10% more existing homes were sold in May than in the same month a year earlier, many purchased by investors who plan to rent them for now and sell them later, an important sign of an inflection point. In something of a surprise, the inventory of existing homes for sale has fallen close to the normal level of six months’ worth despite all the foreclosed homes that lenders own. The fraction of homes that are vacant is at its lowest level since 2006. Holly Duke Miller is an Associate Real Estate Broker with Liz Moore and Associates in Williamsburg, Virginia. She is also a certified Senior Real Estate Specialist or SRES®. She specializes in homes for sale in Williamsburg, James City County, York County, New Kent County, and surrounding areas. She offers full service real estate support to both buyers and sellers of Williamsburg area homes and land. As a native to the area, Holly is very knowledgeable about the local market and takes pride in helping each and every client reach their goals. Whether you are considering buying a home in the Williamsburg area or have a property to sell, she looks forward to working with you. Please contact her anytime at 757-254-4354 or email her at hollymiller@lizmoore.com for all of your Williamsburg and surrounding area real estate needs. 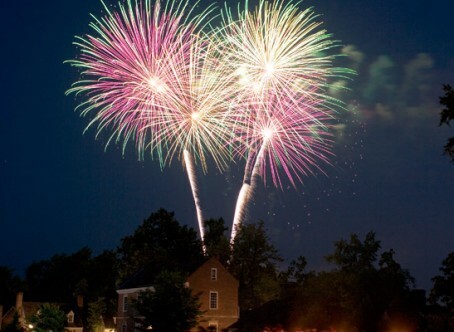 There are several places to enjoy fireworks in historic Williamsburg in celebration of Independance Day.